The Reverse Apartments (裏アパート) is an area that resembles an apartment building. It mirrors the Apartments and does not contain any effects. 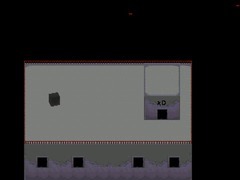 This area can be accessed from the Cloud World, by interacting with a grey block other than the one that brought the player to this world. The block teleports the player to the rooftop, which has a door that leads to the stairway. There is nothing to interact with on the stairs, but there are some drawings and blood splatters to look at on the way down. 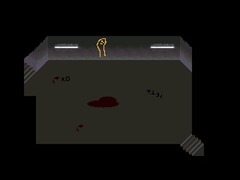 After arriving to the bottom of the staircase, the player can either make a U-turn and enter the room next to the stairs, or proceed down the hallway. 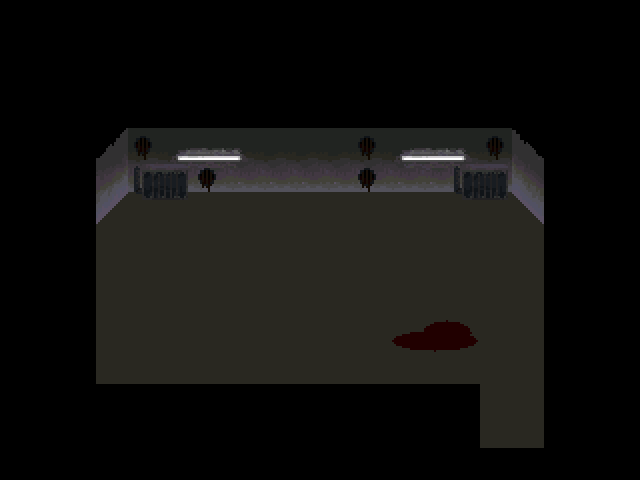 The room behind the staircase seems empty at first, with the exception of the blood puddle, but once the player goes farther into the room, a jelly creature may drop down from the ceiling, possibly startling the player. There is nothing else in this room, and the jelly behaves like any ordinary NPC after its sudden emergence. It should be noted that the jelly does not stay in this room after it appears, and may fall down from the ceiling again in the subsequent flow sessions. The hallway contains a number of drawings on the wall, and a blood puddle. Sometimes, a drawing of a something that looks like a vomiting smiley will appear on the wall above the puddle. 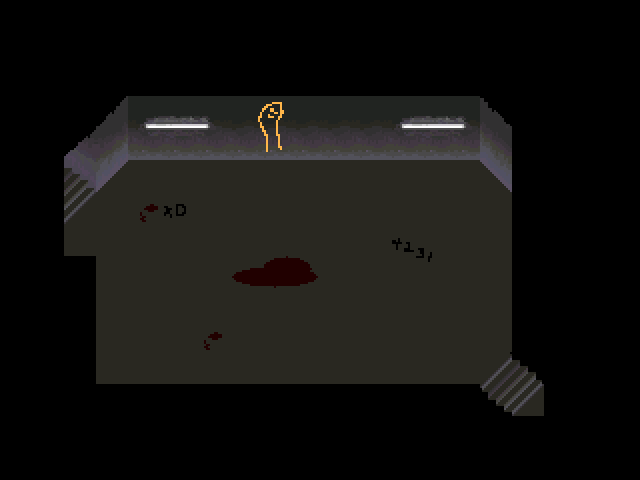 By hitting this drawing with the Iron Pipe the player can open the passage that leads to the Dying Girls Event. The drawing does not appear if this area is visited by Rust. 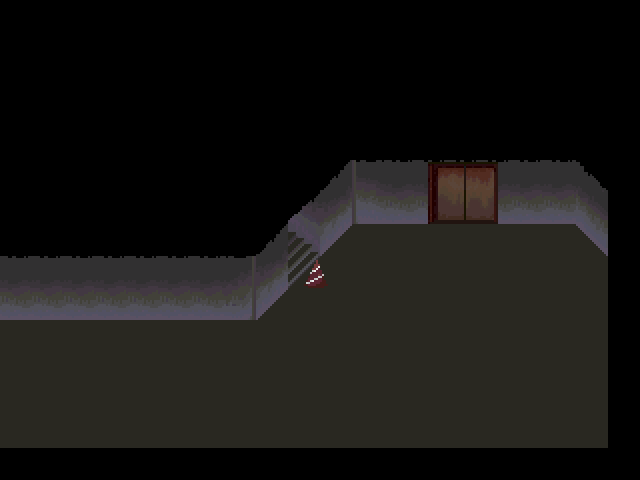 By going further to the right in the hallway, the player will end up in a room with an elevator and a stairway, which is blocked by a cone. The cone disappears after the player eats 10 cakes at the Sugar Hole, which can be done only once in a flow session, and interacts with a Cleaner. The player has to interact with a Cleaner every time they need to remove the cone. The cone will stay if the player eats a cake in the same flow session. The stairway leads to the sugar float days event. 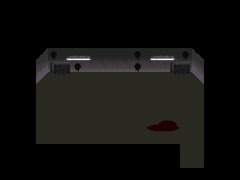 By using the elevator, the player will arrive to a passage which leads to the back room of the Sugar Hole bar, and contains another elevator. This elevator is jammed, but can be forced open with the Iron Pipe. Once opened, it leads to the Wastewater Lake. The jelly creature appears as the result of a random event, so some players may not see it from the first time. 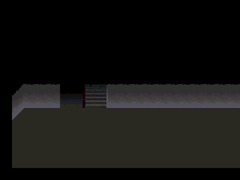 The variable that allows for this event to happen is determined every time the player flows. The vomiting smiley shares its variable with the jelly event, but uses the other third of it. This means that in one flow session the player can either see the jelly, the smiley, or none of them.